through the eyes of women. The Guardian on Colombian FT Bananas - a good news story! CALNE Community Area Fairtrade Group is running Calne's bid to become a "Fairtrade Community" with a target to achieve Fairtrade status by the end of 2018 - or sooner if possible! GET INVOLVED - Read more about the campaign and to get involved here. Do you serve or sell Fairtrade Food & Drink or Goods in your shop. Will you support the campaign by doing so? Use our Catering & Retail Contact form HERE. Do you trade in Fairtrade Goods? Do you provide Fairtrade Tea & Coffee for your staff? Will you support the campaign by doing so? Use our Business Contact form HERE. Do you provide Fairtrade Tea & Coffee at your services? Will you support the campaign by doing so? Use our Churches Contact form HERE. Do you provide Fairtrade Tea & Coffee in your staff room? Will you support the campaign by doing so? Use our Schools Contact form HERE. Join us in this objective for the town and parishes, or let us know you support the campaign and the Town Council to achieve this. Care about Fairtrade, or just want to know more? See who else is involved and call or email to find out more. Volunteers: We are looking for new faces to help us improve our successes in what we all do for Fairtrade and to help get Calne to Fairtrade Community status as quickly as possible. Why not call or email to find out more. Fairtrade is a global movement with a strong and active presence in the UK, represented by the Fairtrade Foundation. The international Fairtrade system (which the Fairtrade Foundation is a part of) represents the world's largest and most recognised fair trade system. We are a global organisation working to secure a better deal for farmers and workers. Fairtrade is an alternative approach to conventional trade based on a partnership between producers and traders, businesses and consumers. The international Fairtrade system - made up of Fairtrade International and its member organizations - represents the world's largest and most recognized fair trade system. (Feb 25th-March 10th) is coming! (Images & Stories of Lives Lived)"
Calne Community Area Fairtrade Group and other Fairtrade Supporters organise Fairtrade events in the Calne Community Area at various times during each year, and other events across Wiltshire. Fairtrade Fortnight 2019 (starting Monday February 25th to Sunday 10th March) will be a fun-filled Fairtrade highlight of the year, when campaigners, businesses, schools and places of worship show their support for the farmers and workers who grow our food in developing countries. The food on our tables, the tea and coffee in our mugs, all from farmers who toil, sweat and slog. However hard they work to provide the things we depend on, millions of farmers in developing countries aren’t paid what they deserve. It’s not a new problem. We need to amplify the voices of marginalised producers as much as ever. When we come together we can change the way people think about trade and the products on our shelves - the Fairtrade movement is made up of ordinary people doing extraordinary things in their communities for Fairtrade. Your actions help shoppers to make choices that change the lives of farmers and workers. Join thousands of others across the UK for Fairtrade Fortnight 2019 to help our friends, neighbours, colleagues and communities to put Fairtrade in their break and take exploitation out. See what we did for FTF 2018! and read about what we did during FTF 2017 in Calne. 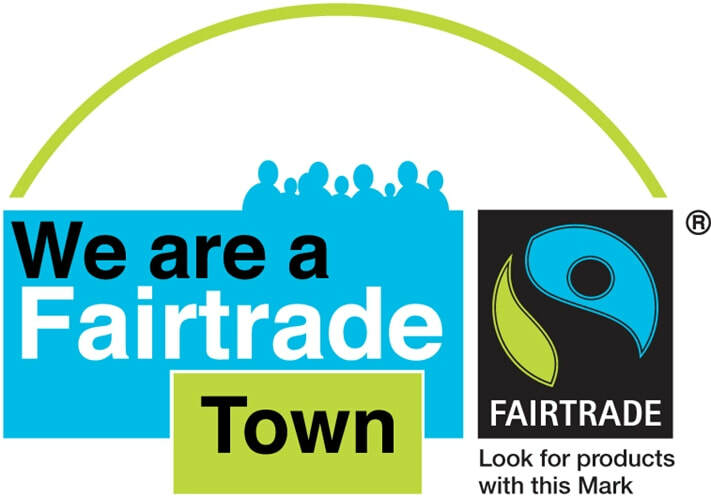 Want CALNE Town & Parishes to become a Fairtrade Community? Then support the project by telling us here!